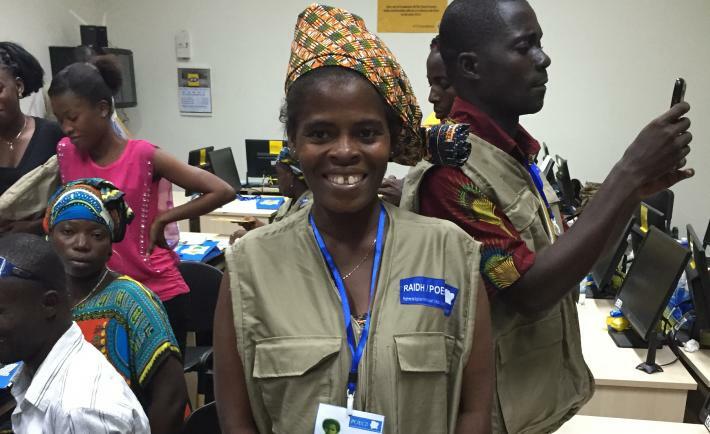 In Côte d’Ivoire, the Plateforme des organisations de la société civile pour l’observation des élections en Côte d’Ivoire recruited significant numbers of female election observers in a post-conflict context. For many of these women, it was their first experience in political activism. 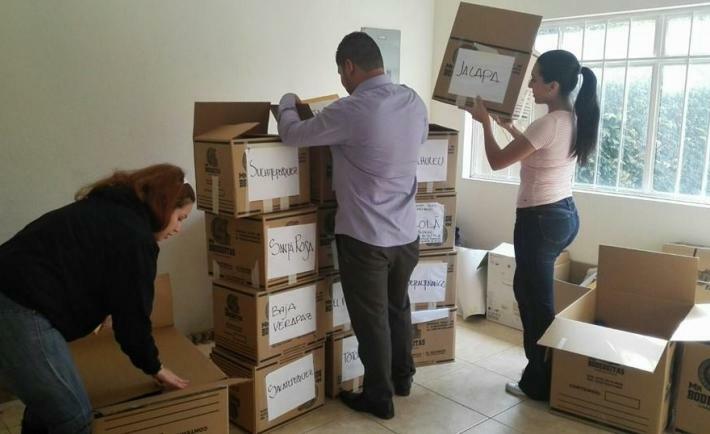 Election observation initiatives are most effective when their findings are not only valid but also—more importantly—accepted as such by the majority of citizens. Observation teams should reflect the diversity of the population so that observer groups can truly speak in the name of all citizens. Gender balance is an important consideration in the composition of observer teams and leadership structures, both of which influence public perceptions of the observer group. Integrating women into an observation effort helps ensure a more comprehensive understanding of the different barriers to political participation that men and women face. It is also an important step to advance observation strategies that address the distinctive ways electoral violence affects citizens. Members of the GWLP delegation of women parliamentarians to the COP21 Summit in Paris, from left to right: Margaret Nantongo Zziwa, Uganda; Ake Camille Epse Akoun, Ivory Coast; Joséphine Drabo Kanyoulou, Burkina Faso; and Tayeba Zahidi, Afghanistan. Photo by Aretha Francis. 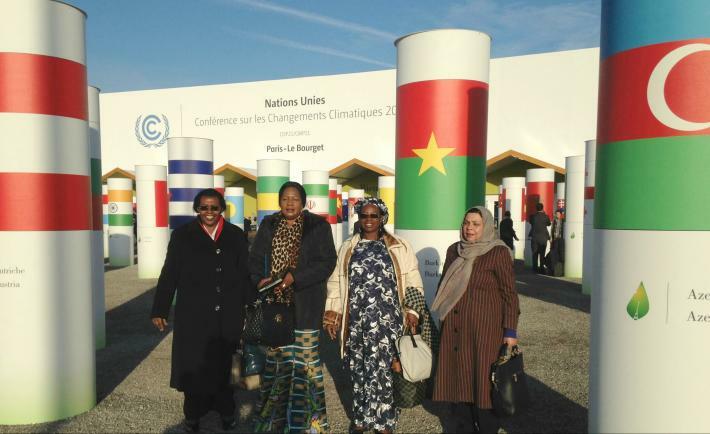 Under the Global Women's Ledership Program supported by USAID, NDI sent four women parliamentarians to the COP21 climate change summit in Paris. 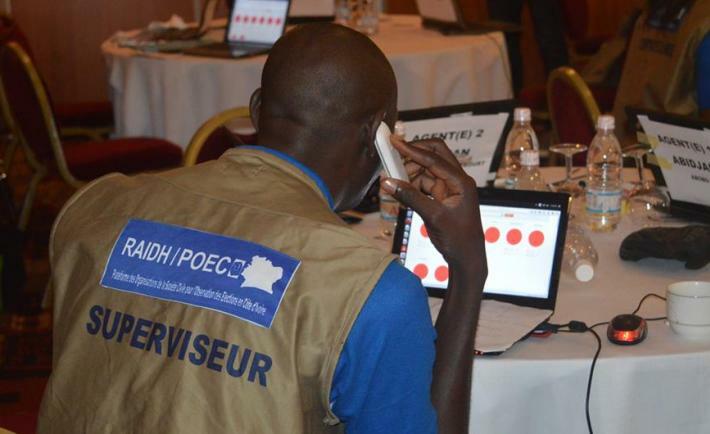 Staffer at POECI headquarters on election day received updates from observers in the field. A largely peaceful presidential election held on October 25 was the first since more than 3,000 people were killed and hundreds of thousands internally displaced in the aftermath of Côte d’Ivoire’s disputed 2010 election. 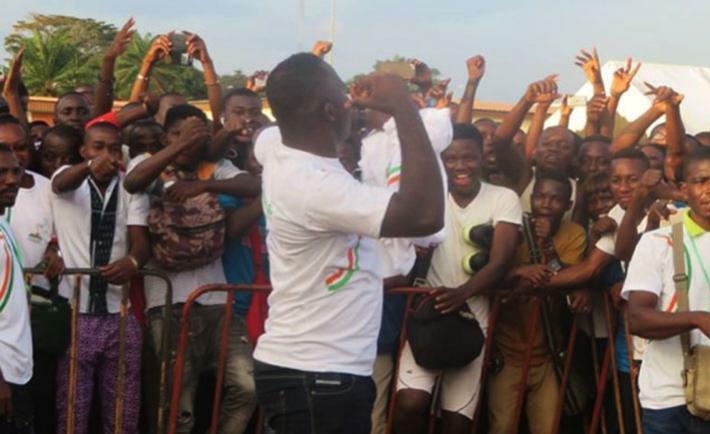 Successful citizen election observation efforts helped civil society organizations in Côte d’Ivoire establish their credibility, which was damaged after conflicting reports in 2010 helped fuel post-election turmoil. 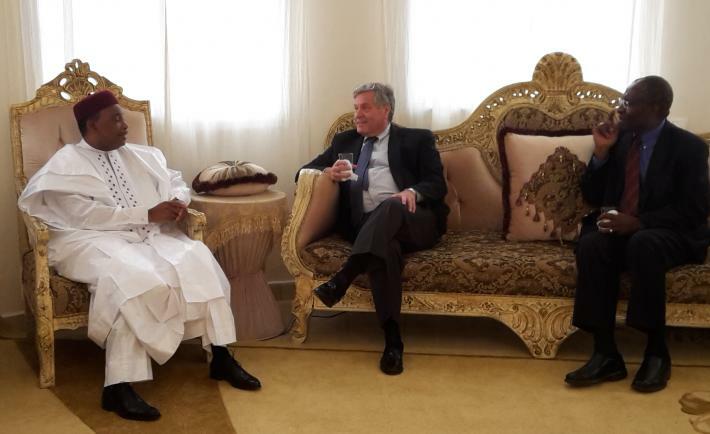 NDI President Kenneth Wollack (center) and Dr. Chris Fomunyoh (right) meet with President Mahamadou Issoufou of Niger. The next year and a half will be a critical period for democracy across Africa. 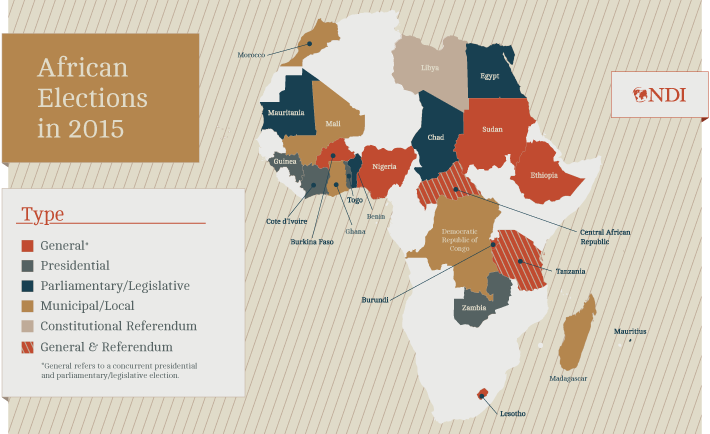 In 2015 and 2016, African countries will hold more than 35 presidential and legislative elections. The outcomes of these elections have the potential to spark a wave of democratic change for the continent. 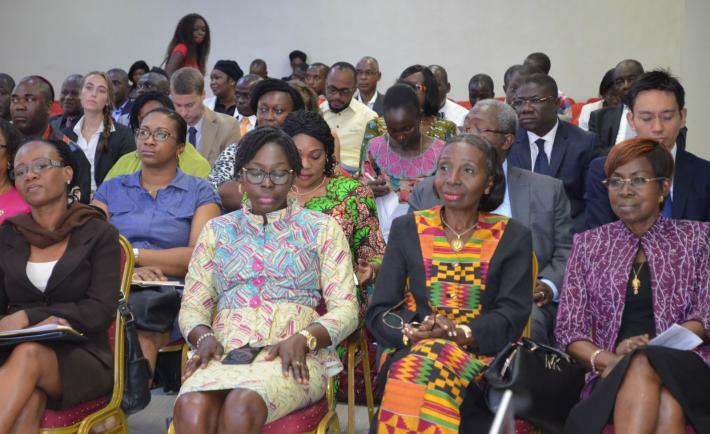 It was within this context that NDI President Ken Wollack traveled to Burkina Faso, Niger and Cote d’Ivoire, accompanied by Dr. Chris Fomunyoh, NDI’s senior associate and regional director for Central and West Africa. All three countries will hold elections before the end of the year. Between January 2015 and December 2016, African countries will organize more than 35 presidential and legislative elections, and the outcomes have the potential to spark a sea change for the continent. The first of these polls took place in January with the Zambian presidential election after the unexpected death of President Michael Sata.